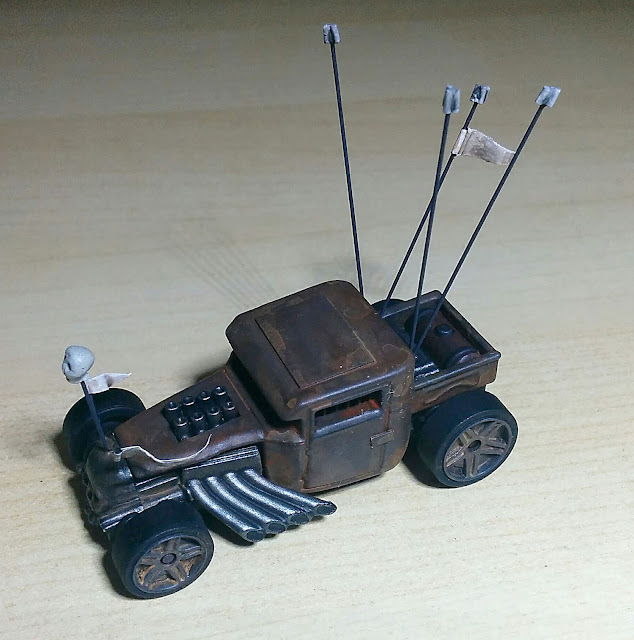 I'm not going to post a review of Mad Max: Fury Road here, but I will say that I saw it twice in the theatre (unheard of for me, I am not a fan of going to the theatre), and I think it's easily one of the best action movies I've ever seen. And the vehicles in the film are, as you would expect, crazy and amazing. 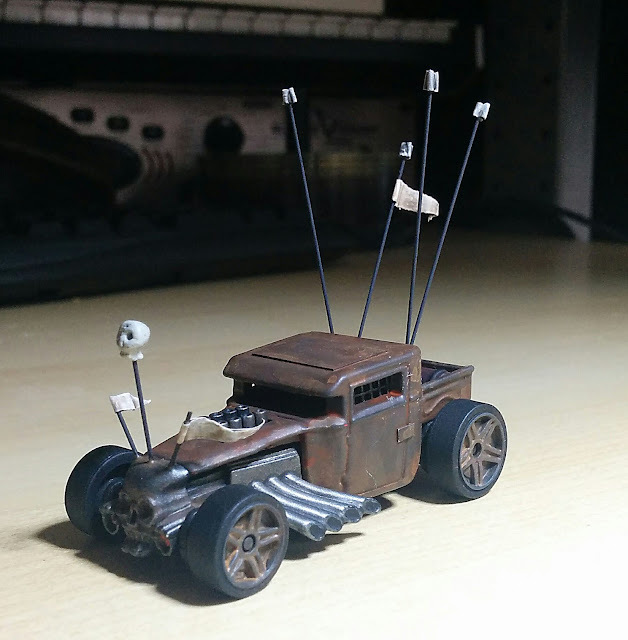 I have played quite a few games of Axles & Alloys, but I only have one modified Hot Wheels car I can call my own. 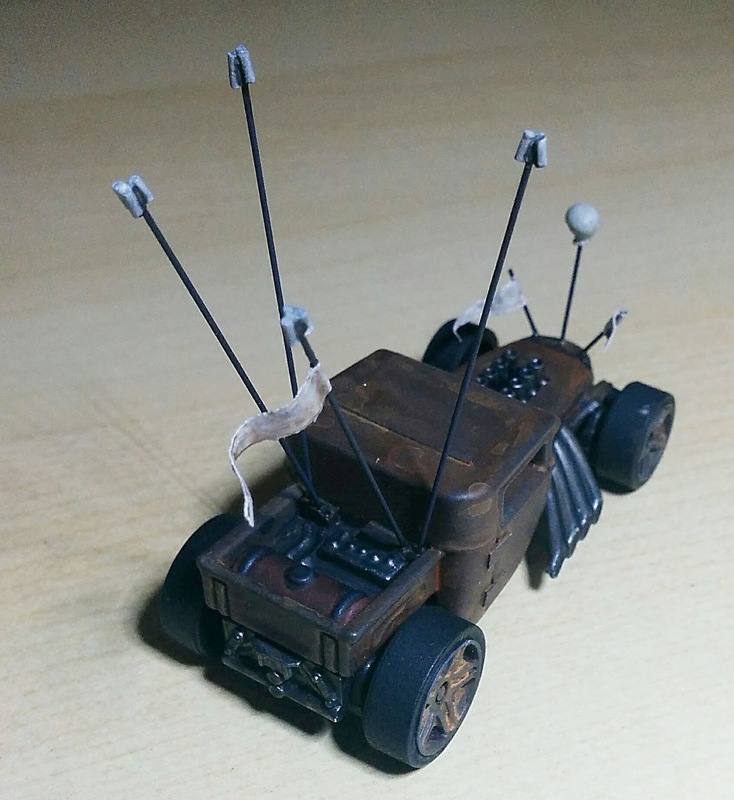 After seeing the cars of Fury Road, I was inspired to get a few more and paint them up to look appropriately post-apocalyptic. Here's the first one. It came out fantastic. i really like the vibe on this one.